The 2017 Witham Carnival will begin at Witham Rugby Club, Spinks Lane, Witham. 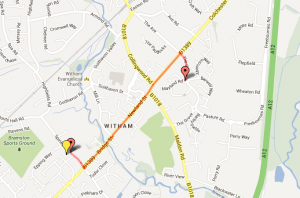 Entry forms are available online via the navigation panel to your right, or alternatively from Witham Town Hall. *The assembly area will be open from 8.30am. *All entrants must be in place at the Witham Town Rugby ground by 11.30pm. Please report to the check in point to register your entry and obtain details of your assembly area. Judging will start at 12.00pm. Any entrants not in place by that time will not be judged. Parking for vehicles not in the procession will be available at the Football club, located just before the Rugby Cub. * The procession will move off at 1.30pm sharp and make its way toward the Grove Centre via Newland Street, passing the Town Centre, and then towards the Marsh traffic lights, followed by the Marsh roundabout and finish as described below. Please co-operate with the Police, Carnival Marshals and Officials. *All courts, bands, majorettes/ twirlettes to disembark at the roundabout (going the wrong way round the roundabout to enable better traffic flow) and proceed to the walking parade assembly point at Mayland Road Car Park. When all walking groups have assembled, they will be led through the Grove Centre, and on into Maldon Road Park (arena). *All vehicles to continue into the finish area at Mayland House car park via the EXIT barrier. No vehicles are to enter Mayland Road. Please keep a note of the class you have entered and have it available when you check in. *All participants must stay in area designated upon arrival to assist the judging of entrants. *There will be refreshments available in the clubhouse. *Toilets will be open in the clubhouse. Please keep these clean and tidy. *Please do not leave your rubbish behind on the floor, place it in the rubbish sacks on site. * Collection buckets will be allocated at the assembly point. Only Witham Carnival buckets are allowed for collecting. *Under the terms of the Street Collection Licence issued to Witham Carnival, all monies collected by participants must be handed over to the Witham Carnival Association at the end of the procession. Which will be at the procession end. See attached map. * Subsequently, applications may be made in writing to the Committee for donations from the Carnival profits. 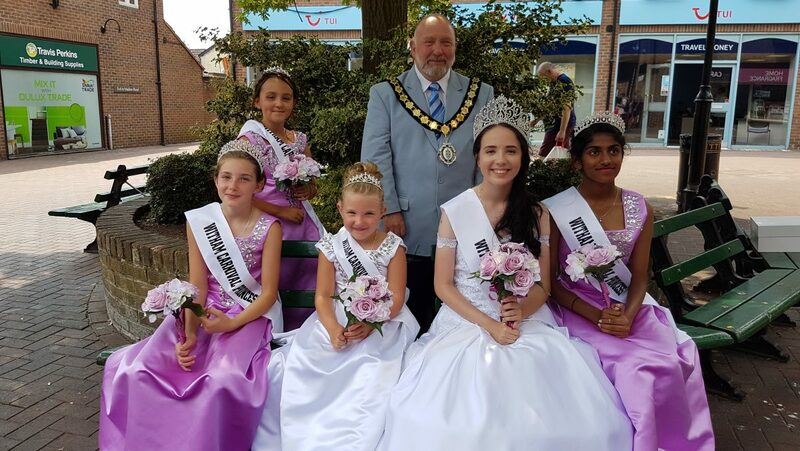 * Witham Carnival Association has no direct control over vehicles used in the procession and cannot accept responsibility for damage or injury howsoever caused. Where doubt exists as to the adequacy of insurance cover, owners and users of vehicles taking part in the procession are advised to seek confirmation of cover, including passenger liability, from insurers. * Please ensure you carry out a risk assessment on your float. * No water or alcohol is permitted on any float for safety reasons. The committee reserve the right to exclude any offending entrants.